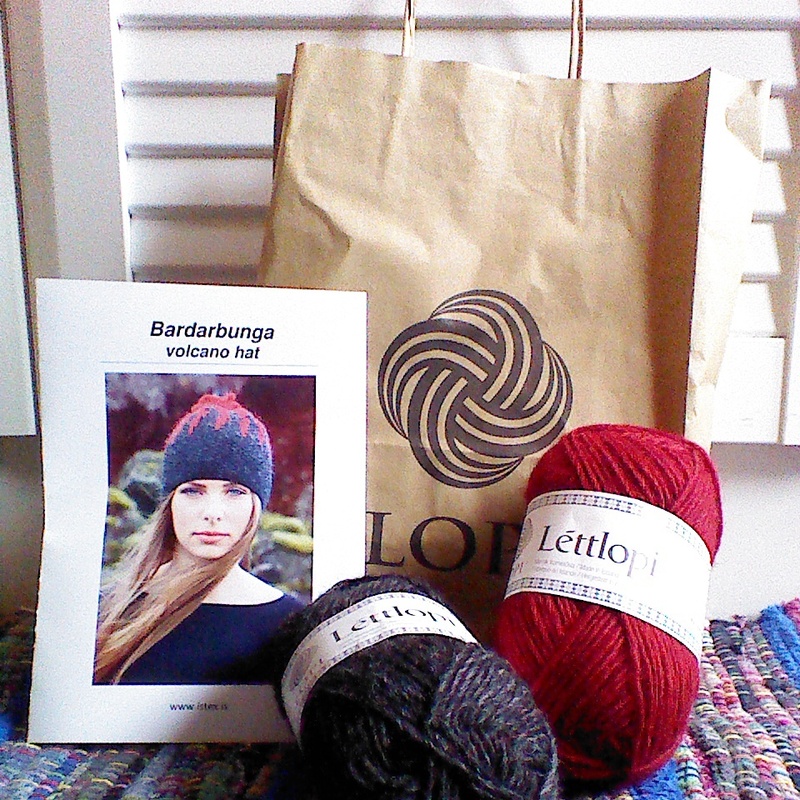 I’ve just had a fantastic weekend of knitting, chatting and inspiration at Nordatlantans Brygge’s 2-day Icelandic Knitting Festival, organised between North Atlantic House and designer/fellow Yarn Lover Halla Benediksdóttir. 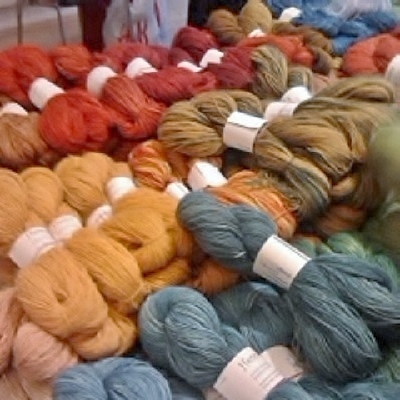 I’ love going to knitting workshops here, and the first thing that hit me as I reached the fifth floor was that this was much bigger than I expected, with stalls selling all shades of Icelandic handspun and hand dyed plant yarns, handmade buttons, sweaters and kits galore. Early birds were also treated to a free knitting kit for a “volcano hat” by Istex! I had told myself that I was definitely, absolutely not going to buy ANY MORE YARN this month, especially as I’ve got even more WIP’s this week and the stash is not to be mentioned! But I couldn’t resist those beautiful shades by botanist and dyer Guðrún Bjarnadóttir (you can find her Etsy shop here) especially the rhubarb root yarn (the soft pink you can see to the top right of the photo below). So of course I was unable to resist and bought a shawl kit, and after a long time spent trying to describe colours to my mum over the phone, I picked up some cow parsley and indigo-dyed yarn for her. Both days of the festival there was the opportunity to attend mini workshops on Lopi sweater design and how to splice yarn ends, as well as help for those stuck with their sweaters! In the room across the hall there were amazing talks and Q&A sessions about plant dyed yarn, differences in Icelandic and Faeroese design and knitting tourism in Iceland. One of my favourite talks was given by hand spinners, sheep farmers and sellers of natural wool Anna Dröfn and Sigrún Elíasdóttir, who talked about their work and the seemingly magical survival abilities of Icelandic sheep, the combination of the fleece’s waterproof tog and insulating thel enabling them to survive being stranded in a 6 meter snowfall in winter 2012. In between talks I caught up with fellow knitters from our knit cafe as well as meeting other knitters! A lot of people bought knitting and crochet along so it was great to swap tips and admire each other’s projects. The weekend was rounded off with a “Walk and Knit” history tour of the building, area and art installations- checking out the native plant and landscape-inspired garden outside Noma and ducking into the magical “glass kaleidoscope” Cosmic Room – all while knitting out of our bags :) This was inspired by the knitters and farmers of old, who by necessity used the time knitting as they walked between farms. Maybe not so vital in the urban landscape of Copenhagen, but so much fun- and I realised for the first time I could knit (a bit) without looking! 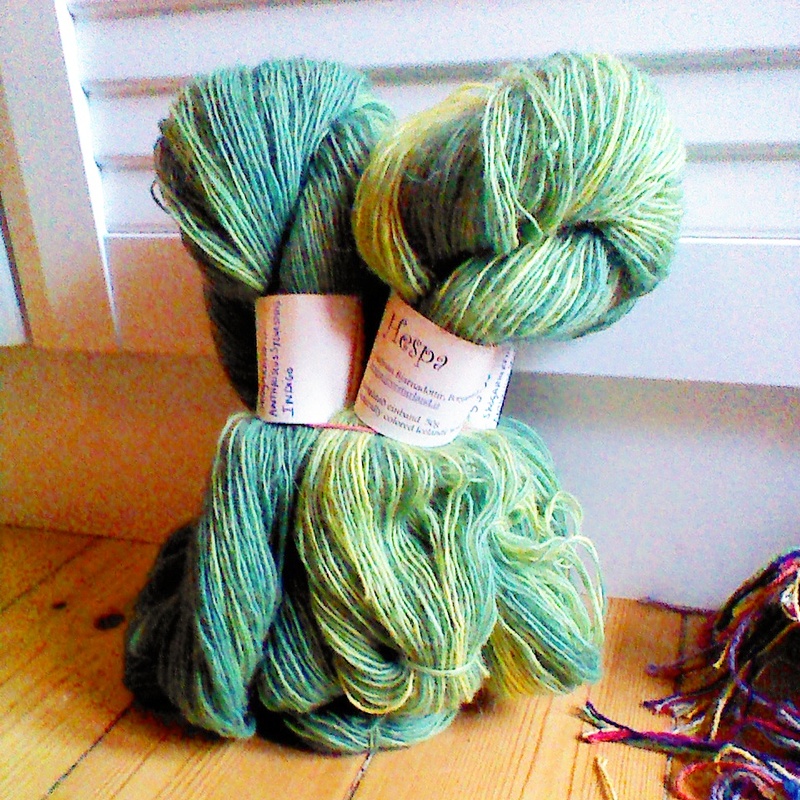 This entry was posted in Events and tagged Copenhagen, Craft, Craft Market, Dyeing with plants, Håndarbejde, Iceland, Icelandic Knitting, Icelandic Sheep, Knitting, Knitting Festival, Lopi, Nordic, Spinning, Strik, Wool, Yarn. Bookmark the permalink.